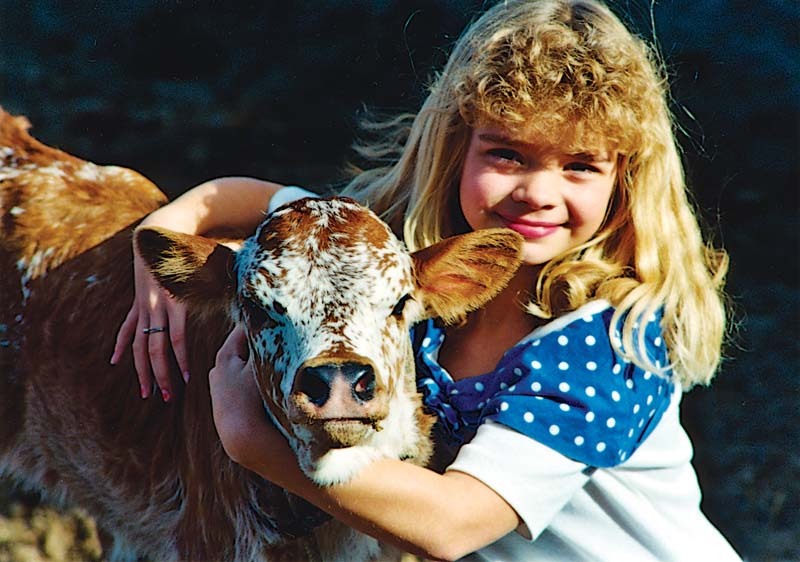 Why is America’s oldest cattle breed attracting so much interest? The answer is revealed, in part, in the fascinating history of these genetically unique cattle. The cattle of the world, regardless of their diverse body types and color patterns, originated from either Bos Indicus (the humped cattle of Asia) or the Bos Taurus (the wild cattle of Europe).Annals of history trace the movement of North African cattle accompanying the Moors to Spain and their evolution into many cattle types.On the voyages of Christopher Columbus, the Spanish first brought long-horned cattle to the Americas in 1494. Descendants of these ocean voyagers were the first cattle to populate the Americas. Over the centuries, the survivors of those first cattle multiplied from isolated bands to literally millions! Thus evolved the Texas Longhorn, imported by Spanish explorers, refined by nature, and tested by time and the elements. Hard hooves and lethal horns equipped them for survival. Their spectacular color variations reflect pigmentation designs developed for ultraviolet protection. The English, in colonizing North America, brought their native cattle in 1623. As they moved west, so did their cattle, pulling wagons and plows and providing milk. Meanwhile, Mexico, California, Texas and what was then the Louisiana Purchase were witnessing the evolution of the history-making Texas Longhorn breed of cattle. Until the mid-1800’s, these big-horned, rugged range cattle multiplied without the help of man. Traits were genetically “fixed” through survival of the fittest, resulting in ecologically adapted bovine families with extremely good health, fertility, teeth, disease resistance, and soundness of body and limb. In 1850, it was estimated nearly 500,000 Longhorns could be found in south western California. In 1865, official estimates placed the Longhorn population in Texas at between 3,000,000 and 4,000,000 head. These wild, nature-developed cattle provided cash for their captors and multiplied rapidly. In 1836, Ewing Young led an expedition from the Oregon Territory to California to buy Longhorns. In what may have been the first major American cattle drive, 830 head were trailed in 120 days nearly 900 miles in 1837 to Oregon. 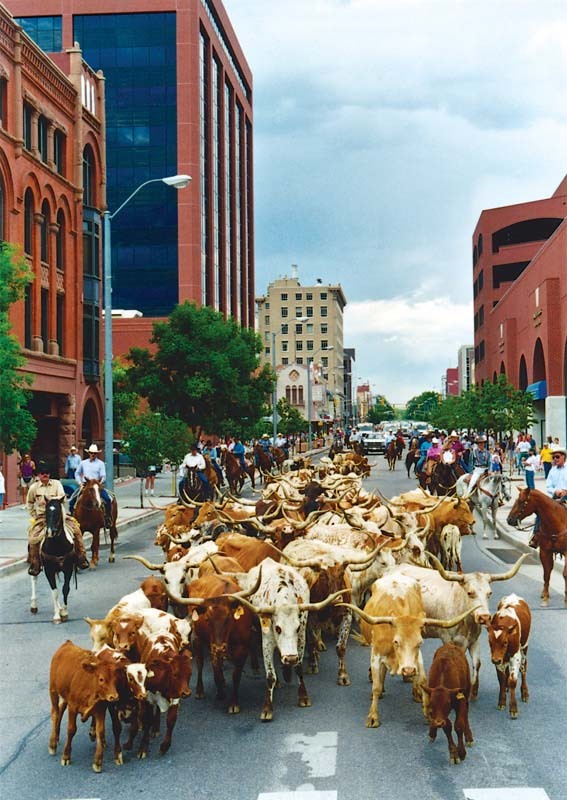 By 1889, an estimated 10,000,000 head of Longhorns had been trailed north, west and east out of Texas. Converting wild cattle into cash was the ultimate struggle. Longhorns could walk amazing distances, living off the land, swimming rivers, surviving desert heat and winter snow. From this clash between men, animals and the environment grew the world-famous American cowboy. In 1876, an estimated 1,000 head breeding herd was introduced into southern Alberta, Canada. By 1884, these cattle were estimated to have multiplied to 40,000 head including additional importation’s. In 1900, the U.S. Department of Agriculture estimated the U.S. cattle population at 60,000,000 most of which contained a percentage of Texas Longhorn blood. In the late nineteenth century, cattle breeds from Europe and Asia became available increasing fat and tallow yields for the expanding tallow industry. The foundation stock of many of these introduced breeds were “bred-up” to purebreds in this country from a native Longhorn base. Because of the excellent growth and vitality resulting from the hybrid vigor (heterosis) of the Longhorn cross, this breeding process became so popular that pure Longhorn blood was nearly eliminated. Another factor in the Longhorn’s near disappearance was the breed’s unique natural lean meat. Candles had been the world’s chief source of light for over 3000 years. Tallow, the main ingredient in candles, is obtained by rendering animal fat. Soaps, lubricants, and cooking also required tallow. “Hide-and-tallow” companies, as early beef processing plants were known, were a major industry in the early days of the industrial revolution. Prior to the advent of refrigeration, meat was essentially a by-product. 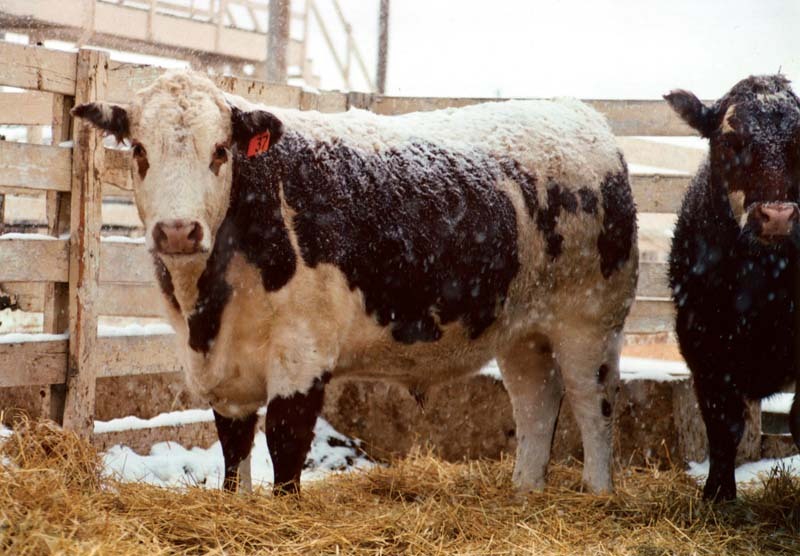 The demand for tallow and hides was the driving force of the cattle business and genetics were selected for the heaviest tallow producing animals. The naturally lean Longhorn, with 80 percent less renderable tallow than the English breeds, came to be less in demand. By 1930, most open range was fenced and southwestern cattle barons zeroed in on new breeds of “fat” cattle. 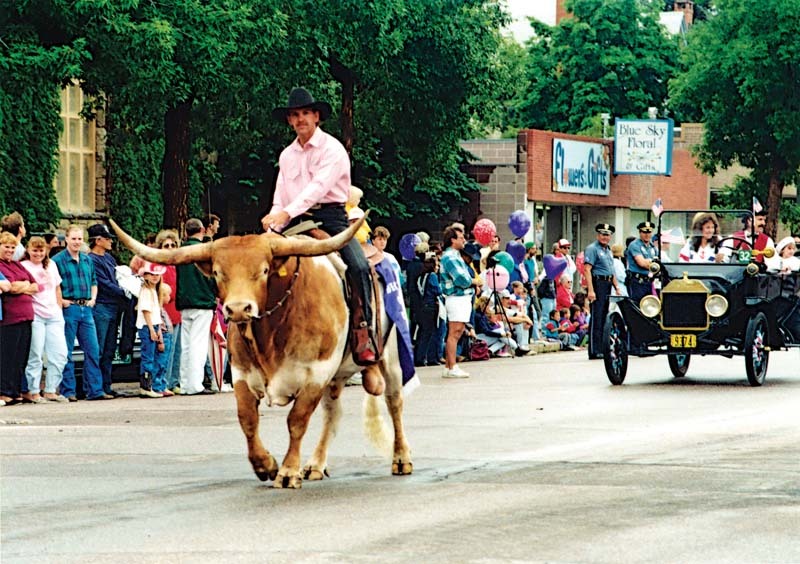 The historic Texas Longhorn was the time tested choice of only a few serious cowmen. Before 1930, a pattern of seven differentiated “families” or bloodlines emerged. The seven families are Butler, Wichita Refuge, Peeler, Wright, Phillips, Yates, and Marks. Today, producers of Texas Longhorns either raise their favorite family bloodlines in a pure state or mix combinations of several of the seven pure bloodlines. Texas Longhorns, groomed by nature for hundreds of years, carry the genetic characteristics of fertility, calving ease, mothering ability, disease resistance, browse utilization, a wide range of climatic adaptability, and the inherited ability to take care of themselves. They are statistically different from other beef breeds and superior in numerous profitable traits. The ITLA held it’s first organizational meeting October 1989. The purpose of ITLA is the development, registration, and promotion of the Texas Longhorn breed of cattle. It is membership oriented, with members in every state and foreign countries. It was founded on a generous palette of membership services and an enormous appreciation for the great Texas Longhorn cattle breed. Longhorns are famous for their long life span. Many live past 20 years of age, with an occasional one producing past 25 or 30. In commercial terms, this longer productive life means the rancher can retain fewer heifers to maintain herd size, allowing him to market more calves annually. 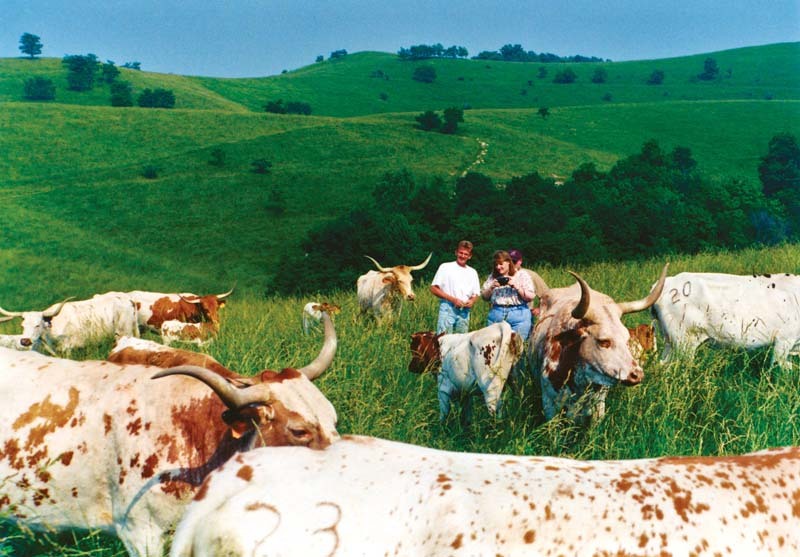 Many professional ranchers are finding that Texas Longhorn influence can increase the productive life span by several years over conventional beef breeds. 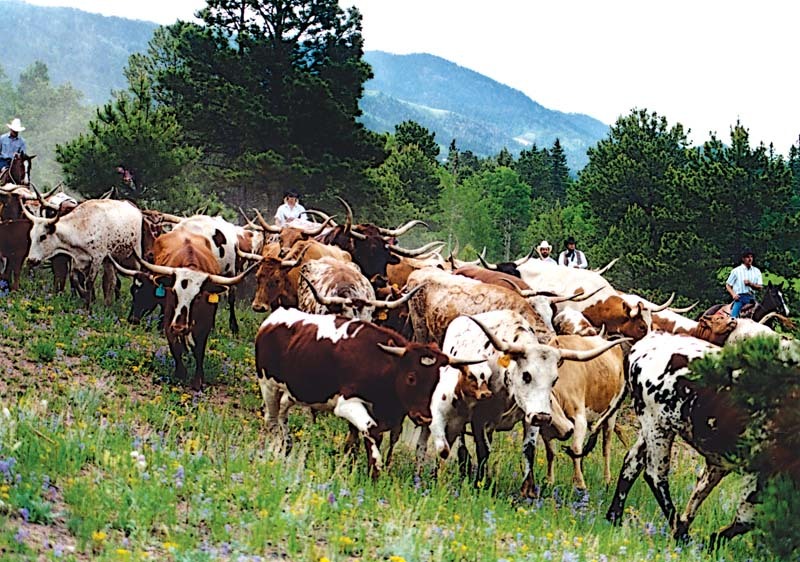 Ten of the twenty largest ranches in the United States have successfully used Texas Longhorn bulls. The Texas Longhorn bull’s reputation for the easy and uncomplicated birth of a vigorous calf is undisputed among knowledgeable ranchers. The tall lean Longhorn shape with narrow head and shoulders make first birth for a beginning mother a far less traumatic experience. The U.S. Meat Animal Research Center at Clay Center, Nebraska has tested this breed’s modern qualities. Their Germ Plasm Evaluation Program, Cycle IV Phase 2, evaluated 1,905 births comparing 11 breeds. The Texas Longhorn proved superior with the highest unassisted birth rate of all breeds (99.7%) and the lowest birth weight (71.3 lbs.). These old, nature-fixed, time tested qualities are making extra profits for professional ranchers through reduced labor and more live, saleable calves. These low stress birth traits profit owners when the mother cow quickly re-breeds after an easy birth. The Longhorn is a fun and profitable breed. Investors find them easy cattle to raise without the continuous supervision often required by other breeds. They are not only the choice for large ranch operations, but ideal for the weekend or backyard producer. They take care of themselves when the owner is not around. Longhorns are especially popular for ITLA youth and open shows. Some owners train them to ride and also pull large loads. They often learn quickly to show and ride due to their gentle and intelligent dispositions. City dwellers spend hours photographing colorful Longhorns, which is a source of pleasure and pride for the owners also. Modern cattle production may have deviated too much from the proven economic traits of the Texas Longhorn. Numerous cattlemen feel that most cattle breeds are too big, too fat, shaped wrong for easy birthing and also lack disease resistance and longevity. To correct these trends, several are cross breeding with Texas Longhorns to put the good stuff back. This scientific effort is actually building synthetic breeds of many different bandings. The Texas Longhorn’s lack of fat, once a cause of near extinction, is now recognized as one of the breed’s strong qualities. Health conscious modern nutritionists consistently condemn the heavy fat content of generic beef and wholeheartedly support the use of less fat, lower cholesterol meats like the Texas Longhorn. New studies reveal Texas Longhorn beef may be the highest in omega-3 of any breed. Research at Oregon State University found that Texas Longhorns were highly immune to the deadly tansy ragwort plant which plagues the northwestern cattle industry. 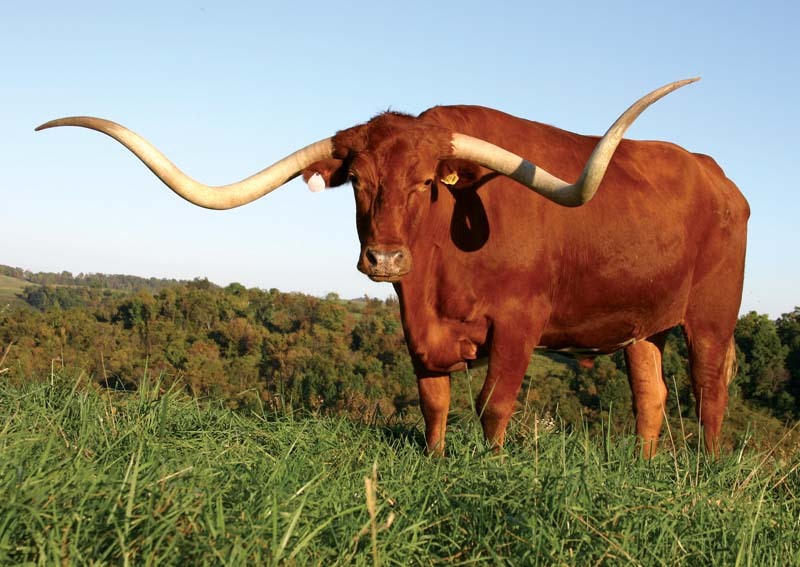 Iowa State University found Texas Longhorns to be highly resistant to ordinary bovine bloat. The Longhorn’s virtual immunity to pinkeye, another expensive malady, is also well documented. In a test of 11 breeds conducted by the U.S. Meat Animal Research Center, Texas Longhorn sired steers graded USDA Choice 62%, a ratio of 104.2% compared to the all breed test average. Longhorn sired steers in this test had a 61.7% dressing percentage with an 81.8% ratio in fat thickness comparison. The Texas Longhorn sired steers had an average fat thickness of 0.36” as compared with an average of 0.44” for the other ten breed groups. 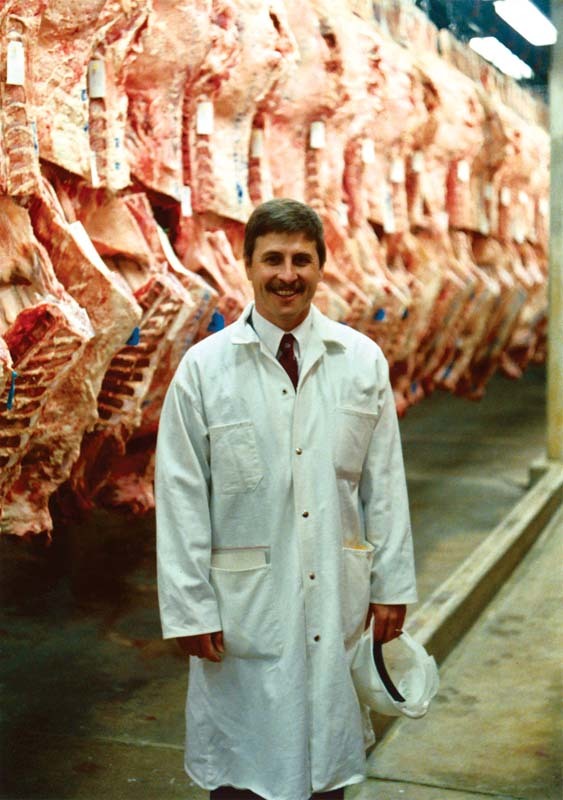 In scientific carcass evaluations, which will determine the future direction of the red meat industry, the Texas Longhorn’s competitive strength over all other breeds is unique, due to their nature-produced anatomy and physiology. 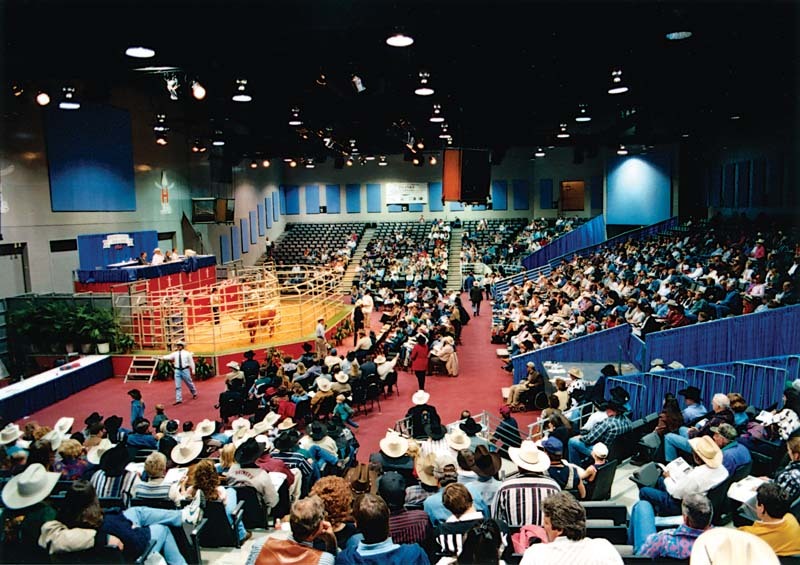 Denver’s National Western Stock Show established the first and largest carcass evaluation in the world. 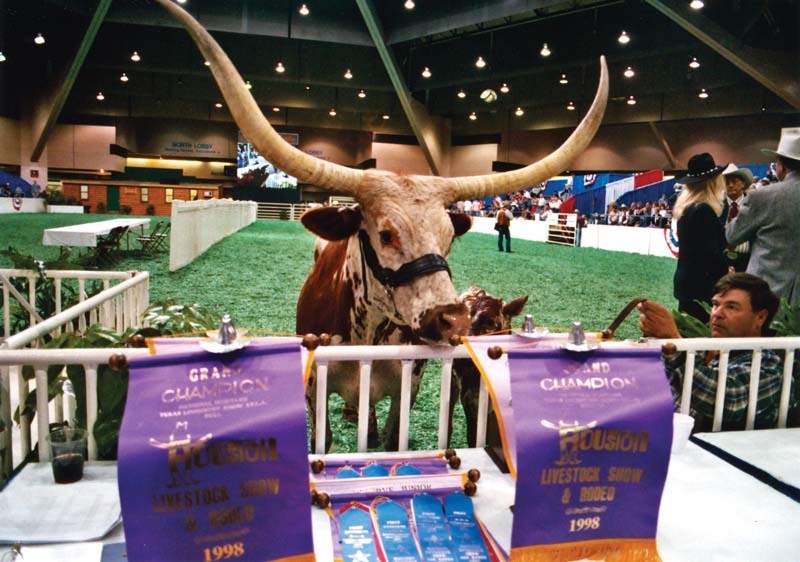 In 1987, a Texas Longhorn cross, six steer entry placed Second in the heavyweight steer division. These steers averaged 0.41” back fat, after 105 days on feed. The steers weighed in at 1197 lbs. and had an average of 14 square inches of rib-eye, a cutability of 51.4% and Yield Grade 2. A prime-grade steer from this group was the highest indexing prime grade animal for two years in a row. The following year, Texas Longhorn crosses scored one First, two Seconds, and a Third against world class competition. 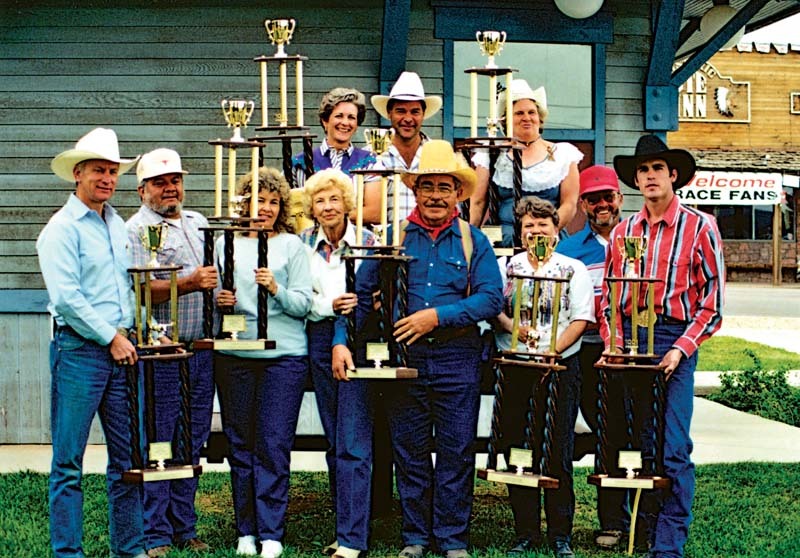 On the West Coast, First Place in the Group Carcass category of the 3rd Annual California Steer Futurity, California Polytechnic Institute, was won by Texas Longhorn crosses. Of a total of 240 steers, entered by 23 ranches, the Longhorn cross’s 108.8 index was the best recorded. The winning steers started on feed at an average weight of 678 lbs. and after 110 days, they finished at 1052 lbs. with a 3.40 lb. average daily gain. The average carcass weighed 639.6 lbs. with a 62% dress on a quality grade average of Choice-minus, Yield Grade 2. The back fat averaged 0.33” and the rib-eye area average was 11.50 square inches. The Longhorns also led the conversion rate with less feed required per pound of gain. Christopher Columbus must be credited with some real foresight to have selected cattle which could produce over 500 years of offspring, pull thousands of wagons over the National Road, and the Oregon Trail, set the stage for the creation of the legendary American cowboy and still play a prominent role in producing cutting edge quality, lean nutritional food. Indeed, the once unappreciated Texas Longhorn has earned the respect not only of those who love history, but of professional ranchers who are totally profit minded. The “old breed” is front and center — in a high-tech world.